We have just completed another major piece of print as part of our long-running series of work for the political think tank Policy Connect. This project is the latest report for the influential cross-party body the Higher Education Commission. Entitled ‘One Size Won’t Fit All – The Challenges Facing the Office for Students‘, the report was published last week to wide media coverage and a great launch at Portcullis House, next to the Houses of Parliament. We always enjoy these reports as they provide a challenge to find a fresh way of presenting quite dense, detailed information. However this one is a particular success as a set-piece of new political report design. With its bold, graphic cover it stands out a mile and supplies the report with a great identity as its finds its way into the hands of higher education policy decision-makers. This was a real thrill because, as a small agency, we tend not to worry too much about awards. They are nice when they happen (and clients love them) but the whole process of payment and reward from the major prizes has sometimes felt like a but of a cash cow rather than something that is all about the talent. However, in part because the project we were nominated for was such a personal labour of love for me, this one felt rather different. And then – we won. Isn’t it funny how winning changes everything? Firstly in terms of how you feel about the work you did. It feels… golden, special, recognised. Somehow it stands apart from the rest of the work this year and becomes more significant. And then, secondly, winning again becomes somehow less critical. It won once, so attained this fantastic standard. Wouldn’t winning again be somehow… greedy? Well possibly, but we certainly have been nominated again! Our work for Shine this year has been shortlisted for two Solutions Awards for print design, in both the environmental category but also the paper section too. We might have a sneaky nomination in best design too. I thought it might be worth putting down a little more detail how our work relates to these two categories and how we came to make the decisions around that work. Hat trick! Three nominations for the Solutions Awards 2017! I am incredibly proud to say that we have been nominated in a fantastic THREE categories for our work this past year in the print industry’s Solutions Awards 2017 – which come up in November. The nominations are for two major projects – the Shine Winners Book which we completed back in June and the Scarfes Bar menu for Rosewood London which was introduced back in the Spring after several months work. I am going to write in more depth about on our work for Shine – particularly from a paper specification and environmental perspective – next week, but this post focusses on a new introduction to our work for Scarfes Bar which hopefully gives some interesting in-depth background about the design process we went through. At the outset of our work for Rosewood London, back in January, one of the key projects we were asked to complete was a redesign of the menus for The Mirror Room, their restaurant and afternoon tea space. A great piece of luxury hotel print design, this new menu is cool and elegant – while being practical for everyday use at a busy hotel where things change quickly. 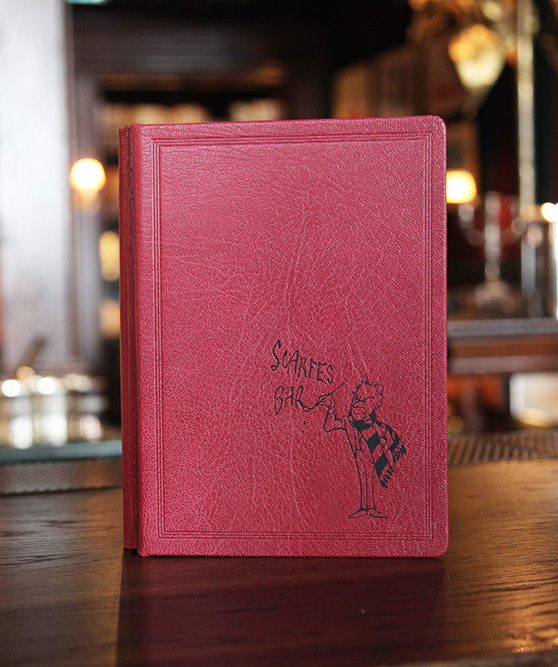 Our previous work for Rosewood focussed on a custom, raspberry leather-covered menu for Scarfes Bar. We loved the opulence of that project and the unexpected illustrations within. But this project for The Mirror Room is rather different, representing a new sort of challenge – and perhaps another design approach. 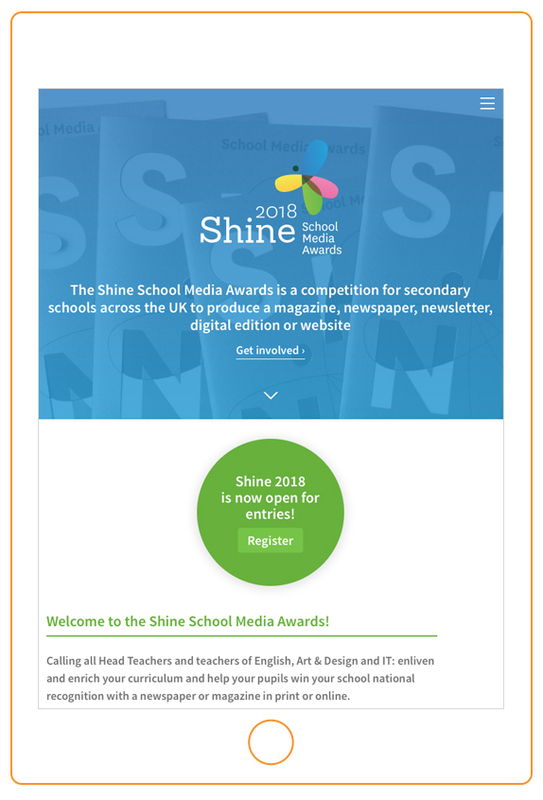 High summer in our calendar always means the completion of a project we are particularly fond of – the winners book of the Shine School Media Awards. It’s our fourth year working on Shine and each time we try and bring a fresh perspective to it – and this year I was really keen to try die cut print… which, as you can see, did indeed happen. However, I am getting ahead of myself. This endeavour is a true team effort. We give our time to Shine, effectively sponsoring the awards scheme, as do our brilliant collaborators – Denmaur Independent Papers and Pureprint. Once again, they were on board, so we went for it – and I am really pleased with the end result. We have a really exciting new print design project that I’ve just published on our portfolio – new work for the Royal Society of Arts: the launch of the RSA Future Work Centre. Last week I was lucky enough to attend RSA Director Matthew Taylor’s annual lecture in the centre of London. The theme was ‘Good Work For All’ and prepares the ground for the major review of working practices that will be published in June. This has been commissioned by the Government and was even mentioned in the Spring budget by the Chancellor earlier this year.